1. Leyrat C, Caille A, Eldridge S, Kerry S, Dechartres A, Giraudeau B (2018) Intervention effect estimates in cluster randomized versus individually randomized trials: a meta-epidemiological study. Int J Epidemiol: doi: 10.1093/ije/dyy229. [Epub ahead of print]. 2. Chantebel R, Chesneau A, Tavernier E, El-Hage W, Caille A (2018) Completeness of Descriptions of Repetitive Transcranial Magnetic Stimulation Intervention: A Systematic Review of Randomized Controlled Trials of rTMS in Depression. J ECT: doi: 10.1097/YCT.0000000000000546. [Epub ahead of print]. 3. Dibao-Dina C, Caille A, Giraudeau B (2018) Heterogeneous perception of the ethical legitimacy of unbalanced randomization by institutional review board members: a clinical vignette-based survey. Trials, 19(1): 440. doi: 10.1186/s13063-018-2822-1. 4. Machet L, Zaragoza J, Finon A, Garnier M, Maillard H, Caille A (2018) Baseline neutrophil-to-lymphocyte ratio in patients with advanced melanoma treated with immune checkpoint inhibitors. Br J Dermatol, 179(1): 224. doi: 10.1111/bjd.16675. Epub 2018 May 8. 5. Samimi M, Durieux-Verde M, Caille A, Mazereeuw-Hautier J, Boccara O, Martin L, Chiaverini C, Eschard C, Beneton N, Vabres P, Balguerie X, Plantin P, Bessis D, Barbarot S, Dadban A, Droitcourt C, Leducq S, Lorette G, Morel B, Maruani A, Groupe de Recherche de la Société Française de Dermatologie Pédiatrique (2018) Clinical and haemodynamic risk factors associated with discrepancies in lower limb length with capillary malformations: data from the national paediatric French cohort CONAPE. Br J Dermatol, 178(2): 520-6. 6. Maruani A, Durieux-Verde M, Mazereeuw-Hautier J, Boccara O, Martin L, Chiaverini C, Eschard C, Beneton N, Vabres P, Balguerie X, Plantin P, Bessis D, Barbarot S, Dadban A, Droitcourt C, Berthelot A, Lorette G, Leducq S, Samimi M, Andres C, Caille A, Vourc'h P, Groupe de Recherche de la Société Française de Dermatologie (2018) Search for RASA1 Variants in Capillary Malformations of the Legs in 113 Children: Results from the French National Paediatric Cohort CONAPE. Acta Derm Venereol , 98(2): 251-5. 7. Finon A, Zaragoza J, Maillard H, Beneton N, Bens G, Samimi M, Caille A, Machet L (2018) A high neutrophil to lymphocyte ratio prior to BRAF inhibitor treatment is a predictor of poor progression-free survival in patients with metastatic melanoma. Eur J Dermatol, 28(1): 38-43. 8. Terrier LM, Bauchet L, Rigau V, Amelot A, Zouaoui S, Filipiak I, Caille A, Almairac F, Aubriot-Lorton M, Bergemer-Foucquet A, Bord E, Cornu P, Czorny A, Dam Hieu P, Debono B, Delisle M, Emery E, Farah W, Gauchotte G, Godfraind C, et al. (2017) Natural course and prognosis of anaplastic gangliogliomas: a multicenter retrospective study of 43 cases from the French Brain Tumor Database. Neuro Oncol, 19(5): 678-88. 9. Desoubeaux G, Franck-Martel C, Caille A, Drillaud N, Lestrade Carluer de Kyvon M, Bailly E, Chandenier J (2017) Use of calcofluor-blue brightener for the diagnosis of Pneumocystis jirovecii pneumonia in bronchial-alveolar lavage fluids: A single-center prospective study. Med Mycol, 55(3): 295-301. 10. Gras-Le Guen C, Caille A, Launay E, Boscher C, Godon N, Savagner C, Descombes E, Gremmo-Feger G, Pladys P, Saillant D, Legrand A, Caillon J, Barbarot S, Rozé J, Giraudeau B (2017) Dry Care Versus Antiseptics for Umbilical Cord Care: A Cluster Randomized Trial. Pediatrics, 139(1): pii: e20161857. 11. Gyan E, Andrieu V, Sanna A, Caille A, Schemenau J, Sudaka I, Siguret V, Malet M, Park S, Bordessoule D, Mairesse J, Gelsi-Boyer V, Cheze S, Beyne-Rauzy O, Sebert M, Sapena R, Zerazhi H, Legros L, Guerci-Bresler A, Amé S, et al (2016) Myelodysplastic syndromes with single neutropenia or thrombocytopenia are rarely refractory cytopenias with unilineage dysplasia by World Health Organization 2008 criteria and have favourable prognosis. Br J Haematol, 175(5): 975-9. 12. Caille A, Leyrat C, Giraudeau B (2016) A comparison of imputation strategies in cluster randomized trials with missing binary outcomes. 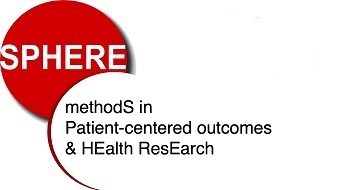 Stat Methods Med Res, 25(6): 2650-69. 13. Caille A, Kerry S, Tavernier E, Leyrat C, Eldridge S, Giraudeau B (2016) Timeline cluster: a graphical tool to identify risk of bias in cluster randomised trials. BMJ, 354: i4291. 14. Ouldamer L, Bonastre J, Brunet-Houdard S, Body G, Giraudeau B, Caille A (2016) Dead space closure with quilting suture versus conventional closure with drainage for the prevention of seroma after mastectomy for breast cancer (QUISERMAS): protocol for a multicentre randomised controlled trial. BMJ Open, 6(4): e009903. 15. Leyrat C, Caille A, Foucher Y, Giraudeau B (2016) Propensity score to detect baseline imbalance in cluster randomized trials: the role of the c-statistic. BMC Med Res Methodol, 16: 9. 16. Zaragoza J, Caille A, Beneton N, Bens G, Christiann F, Maillard H, Machet L (2016) High neutrophil to lymphocyte ratio measured before starting ipilimumab treatment is associated with reduced overall survival in patients with melanoma. Br J Dermatol, 174(1): 146-51. 17. Ouldamer L, Caille A, Giraudeau B, Body G (2015) Quilting Suture of Mastectomy Dead Space Compared with Conventional Closure with Drain. Ann Surg Oncol, 22(13): 4233-40. 18. Recipon G, Piver E, Caille A, Le Pape P, Pihet M, Pagès J, Chandenier J, Desoubeaux G (2015) Is procalcitonin increased in cases of invasive amoebiasis? A retrospective, observational study. Diagn Microbiol Infect Dis, 83(4): 395-9. 19. Sautenet B, Caille A, Giraudeau B, Léger J, Vourc'h P, Buchler M, Halimi JM (2015) Deficits in information transfer between hospital-based and primary-care physicians, the case of kidney disease: a cross-sectional study. J Nephrol, 28(5): 563-70. 20. Dibao-Dina C, Caille A, Giraudeau B (2015) Unbalanced rather than balanced randomized controlled trials are more often positive in favor of the new treatment: an exposed and nonexposed study. J Clin Epidemiol, 68(8): 944-9. 21. 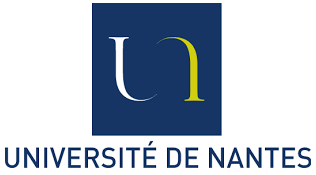 Legras A, Caille A, Begot E, Lhéritier G, Lherm T, Mathonnet A, Frat JP, Courte A, Martin-Lefebvre L, Gouëllo J, Mercier E, Vignon P, ARCO & CRICS Network (2015) Acute respiratory distress syndrome (ARDS)-associated acute cor pulmonale and patent foramen ovale: a multicenter noninvasive hemodynamic study. Crit Care, 19: 174. 22. Cloix L, Caille A, Helmer C, Bourdel-Marchasson I, Fagot-Campagna A, Fournier C, Lecomte P, Oppert J, Jacobi D (2015) Physical activity at home, at leisure, during transportation and at work in French adults with type 2 diabetes: the ENTRED physical activity study. Diabetes Metab, 41(1): 37-44. 23. Gardair C, Samimi M, Touzé A, Coursaget P, Lorette G, Caille A, Wierzbicka E, Croué A, Avenet-Audran M, Aubin F, Kerdraon R, Estève E, Beneton N, Guyétant S (2015) Somatostatin Receptors 2A and 5 Are Expressed in Merkel Cell Carcinoma with No Association with Disease Severity. Neuroendocrinology, 101(3): 223-35. 24. Dibao-Dina C, Caille A, Sautenet B, Chazelle E, Giraudeau B (2014) Rationale for unequal randomization in clinical trials is rarely reported: a systematic review. J Clin Epidemiol, 67(10): 1070-5. 1. Sautenet B, Halimi JM, Caille A, Giraudeau B (2015) [Outcomes in randomized trials: Typology, relevance and importance for their standardization. Example of renoprotection]. Presse Med, 44(11): 1096-102. 2. Dibao-Dina C, Caille A, Giraudeau B (2015) [Care and research: Are they ethically compatible?]. Presse Med, 44(11): 986-90. 3. Legras A, Caille A, Diot P, Magro P (2015) [Echocardiography and pulmonary hypertension: experience of the competence centre in Tours, France]. Rev Mal Respir, 32(3): 301-3.